Known as one of Africa’s greatest symbol and as the tallest animal on earth, giraffes are now recognized as a threatened species. The IUCN (International Union for Conservation of Nature) states that the number of giraffes felt by 40% in thirty years. Consequently, biologists decided to put giraffes population under supervision and registered it on the official endangered species list. According to the data, in 1985 giraffes were between 151 000 and 163 000 to stride across the african savanna but in 2015 this number felt under 100 000 at 97 562 individuals. The news went public during a IUCN meeting in Mexico where the organisation increased the level of threat for 35 species, including both plants and animals. 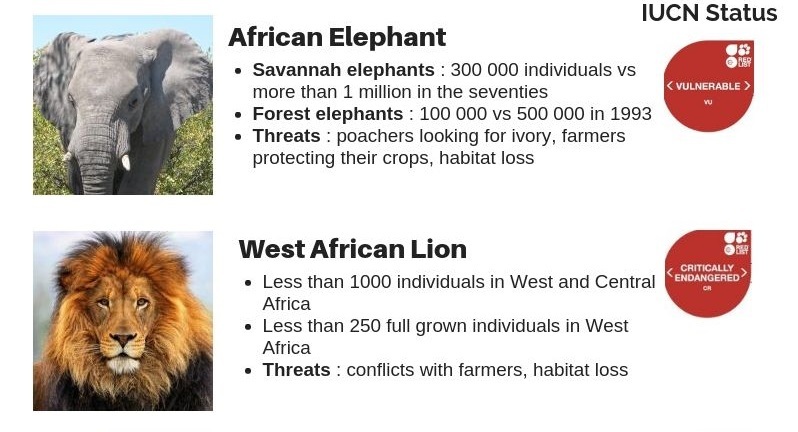 As usual, human activity is known to be the greatest reason for biodiversity loss and it’s also the case for giraffes, particularly in the central and oriental parts of Africa. According to scientists, giraffes population dropped in six countries : Burkina Faso, Guinea, Eritrea, Malawi, Mauritania, Nigeria and Senegal. But there are some good news too, for instance from Niger. Following decades of decline due to poaching and habitat loss, giraffes are back in Niger. The curator hopes lessons for their success can be learned elsewhere. 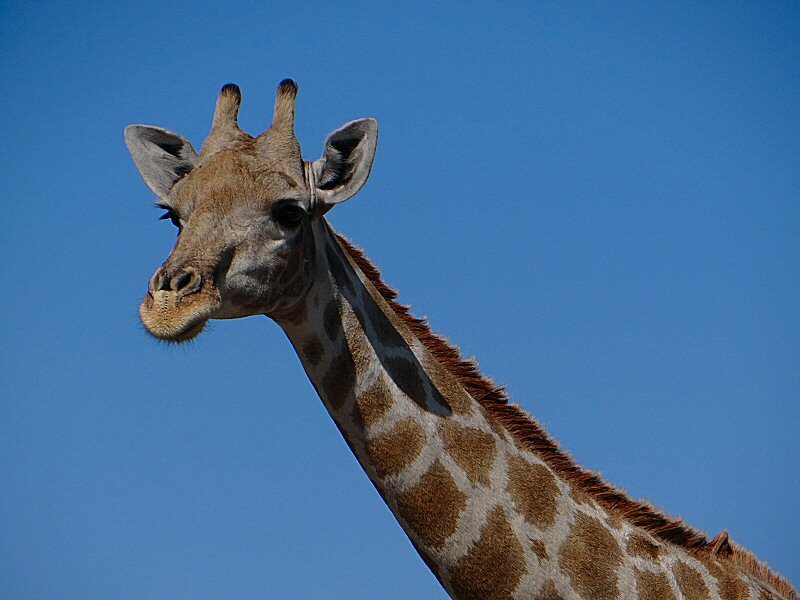 In West Africa, there is a particular species of giraffe that can only be found in the Kouré reserve, 60 kilometers from Niamey, Niger’s capital. In this preserved area, visitors can approach these fascinating animals in their natural environment. Twenty years ago, the situation was quite different. 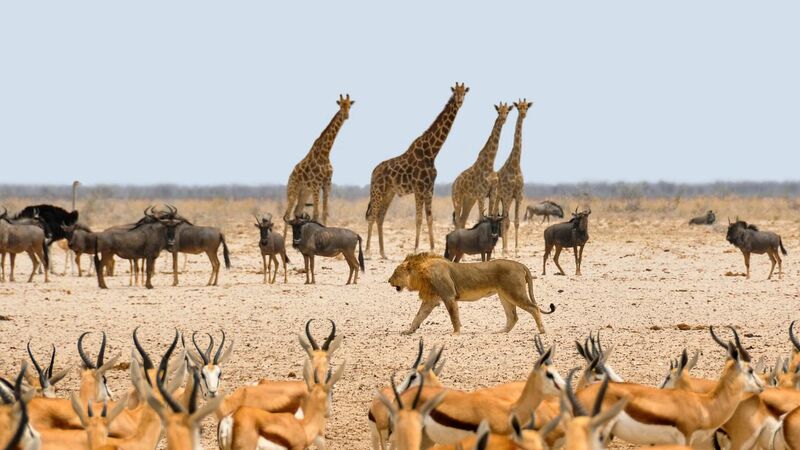 Most of the giraffes were either killed by hunters, poachers or died because of desertification. In addition, the development of agriculture also had an impact. By eradicating indigenous plants it deprived giraffes of finding the resources they needed. The result ? In the middle of the nineties there were only 50 giraffes counted in Niger. Today, they are almost 500 according to the last study. In this particular reserve and without any predators nor poachers, giraffes are more or less safe. For them, the only risk is to get run over by a car or worse, by a truck. An animal was recently killed by a car but in general locals live in harmony with giraffes. Besides, villages around the Kouré reserve could benefit from tourism, making the project economically viable. Unfortunately, the area is surrounded by sensitive countries like Mali, known for terrorist attacks committed by Boko Haram and MUJAO. And this is no good to attract tourists. Over the last few years, only a few of them visited the Kouré reserve, this means less money to protect wildlife and for people living there.